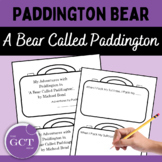 Learning with "A Bear Called Paddington"
A packet of fun things to do to celebrate the new movie coming out this year. 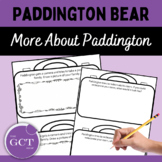 My children enjoy learning about and doing crafts with Paddington. 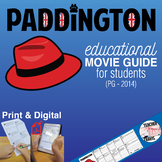 These activities can be adapted to any age / academic level. 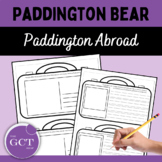 Set up like a suitcase, this set of 9 activities is perfect for students who are reading Paddington Bear: Paddington Abroad in class. 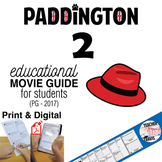 Each activity ties to a chapter in Paddington Helps Out by Michael Bond and offers students a chance to be creative. The set is perfect for a B+W Printer to save ink.